Registered Nurse Certification in Oklahoma helps nurses enhance their capabilities and skills for providing better health care facilities to the patients. The license is issued by the Oklahoma Board of Nursing, which aims at protecting and safeguarding the health and welfare of the residents of the state. Provide verification of legal citizenship. Successfully completed graduation from a government approved nursing education program of registered nursing. Passed the licensure exam, NCLEX-RN. Provide fingerprints for criminal background check. Provide Social Security Number (SSN) on the application form. Sign and provide date in the border at the bottom, side, or at the top of the photographNote: Do not sign across the face. The photograph must have neutral background without shadows. Black and white color. Semi-matte or glossy finish. Should have full face view without glasses. Your eyes must be clearly visible in the photograph. Do not provide pictures clicked by personal camera snapshots, booth-type, or photocopies of photos. After completing graduation, ask your nursing school to submit an official transcript. Out of state candidates must include in their transcripts- course descriptions of their nursing program and related courses for evaluation. The requirements (from I-VII) are same as the above mentioned requirements for licensure by examination. Provide verification of your licensure including the licensure status, completion of the licensing examination, and graduation from an approved nursing program and degree received, from the state in which you were initially licensed. Request your nursing school to send an official transcript to the Oklahoma Board office. Submit a certificate or an official transcript verifying the completion of a Board approved refresher course for nurses. Proof of having successfully cleared the NCLEX-RN (National Council Licensure Examination for Registered Nurse) exam. Submit an official transcript verifying the completion of at least 105 contact hours or 6 academic semester credit hours of nursing courses including clinical instruction and classroom classes. Provide an “Employment Verification Form” including the job description, as a verification of holding a licensure in another state, or employment position which requires nursing licensure verifying minimum of 520 working hours within the past 2 years. Submit this form directly to the Board. You have completed your graduation from Australia, Barbados, Canada (except Quebec), Jamaica, Ireland, Tobago, New Zealand, Trinidad, South Africa, or the United Kingdom. You presently hold a license in another U.S. state or territory and have passed the Board approved licensure examination and have a minimum of 1 year full-time work experience in a clinical setting, at the same level of licensure you are applying for. Provide CGFNS (Commission on Graduates of Foreign Nursing Schools) Certificate or Visa Screen Certificate. If you already hold this certificate, you may request CGFNS to forward a copy of this certificate. If you do not have this certificate, contact CGFNS to apply for a Credentials Evaluation Service Professional Report or Health Profession and Science Course-by-Course Report. 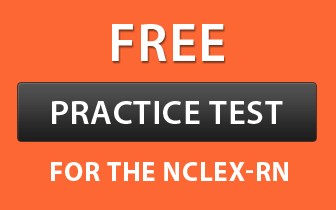 Before completing the application for licensure by examination, you will need to register yourself with the Pearson VUE to take the NCLEX exam. Note: An additional fee of $3.50 will be charged as an online processing fee. Submit an appropriate fee of $85 in the form of electronic fund transfer – VISA or MasterCard (while applying online), or by money order, cashier’s check, or certified check (while using paper application) made payable to the “Oklahoma Board of Nursing”. You may read the instructions for licensure by examination using the below link. If you submit an online application, an email confirmation and links to the additional forms will be received, that needs to be submitted back to the Board, in order to complete your application file. After receiving the application and all required documentation in the Board office, the application will be reviewed, and processed. Upon completion of the process, the Board will notify the Pearson VUE, making you eligible to take the test. The Pearson VUE will send you an ATT (Authorization to Test). Upon receiving the ATT, schedule an appointment, immediately, within 90 days and take the exam. Submit the application form with the essential details. Provide fee for endorsement as well as for the temporary license. Submit evidence of current unrestricted licensure in another state with no background history record of arrest or any other disciplinary action that requires any further review. (For example, you may submit a notarized copy of your license card, or if available, submit verification of licensure from the website of the state, or provide the receipt of an interstate verification). Provide verification of licensure from the state, in which you were licensed originally including successful completion of a state recognized nursing program, which meets all the educational standards of the Board and degree received, and cleared the licensure examination (such as NCLEX-RN). Submit receipt of “Evidence of Status form” and all the other supporting documents in a notarized form. Provide certification of employment, verifying completion of at least 520 work hours within the last 2 years. Successfully submitted fingerprint images for national criminal background search. This step is same as Step number 2 of procedure to obtain RN license by examination. Provide an appropriate fee of $85. An additional fee of $10 will be charged, if you apply for a temporary license. If you are applying online, submit the fee in the form of electronic fund transfer – VISA or MasterCard. Upon applying by paper application, submit it by money order, cashier’s check, or certified check made payable to the “Oklahoma Board of Nursing”. You may read the instructions for licensure by endorsement using the below link. Receipt of completed CGFNS report and transcripts that verify eligibility for licensure. Receipt of current passing English language testing scores, if required for licensure. Complete the endorsement application form using Step number 2 of “Procedure to obtain RN license by Examination”. Provide non-refundable fee of $125 which includes endorsement fee of $85.00 and education equivalence evaluation fee of $40.00. If you request for a temporary license, an additional fee of $10 will be charged. For online application, the fees may be paid by electronic fund transfer – VISA or MasterCard; and for paper application, pay the fees by money order, cashier’s check, or certified check in the name of “Oklahoma Board of Nursing”. By mail – You may request for a written verification of licensure status by downloading the paper application using the following link:https://www.ok.gov/nursing/writverify.pdfSubmit the completed request form to the Board office address mentioned on the top of the application form. All RNs holding a current and active license in Oklahoma need to renew their license in every even numbered year. This state does not require completion of continuing education requirements. Generally, the applicant gets notified before three months of their license’s expiration date, in the form of a renewal notice letter. Submit an applicable fee of $75 with an additional fee of $3.50 as online processing fee on every renewal, in the form of electronic funds transfer from checking account, MasterCard or Visa. Submit the completed application form to the Board office by mail or in person to the address mentioned on the top of the form. Note: You may change the license to an active status, by filling a reinstatement application. Provide an appropriate fee of $115. Provide verification of your citizenship status. Submit fingerprints for criminal background check. Online at – https://www.ok.gov/nursing/licensing/app/nursing_login.phpAn additional fee of $3.50 will be charged, if you reinstate your license online. The applicants, who failed to pass the licensure exam, may apply to retake the licensure exam. The requirements for rewriting the exam are same as the requirements for RN license by examination. Provide an applicable fee of $85 in the form of electronic fund transfer – VISA, MasterCard, money order, cashier’s check, or certified check. To complete the rewriting application, refer Step number 2 of “procedure to obtain RN license by examination”. In case of stolen, lost, or destroyed license card, you are required to submit a written evidence of the situation to obtain a duplicate license. Submit a non-refundable fee of $25.00 in the form of a certified check, personal check, or money order. The Board issues only one duplicate card. If you do not receive your license within 90 days, submit written application to the Board and a duplicate license will be issued without submitting any additional fee.